Although detoxing from hydrocodone is difficult, as it is an opioid and is highly addictive. 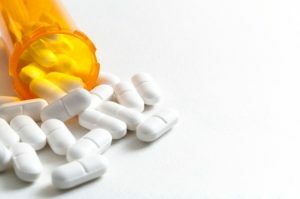 Using medically-assisted treatment, a hydrocodone addiction is possible to overcome, with relatively low relapse rates and fast recovery times. The typical detox period for hydrocodone abusers lasts 4 to 7 days. At ReAlign Detox, we have helped hundreds of clients successfully detox from hydrocodone. We understand the difficulties involved in the detox process and use proven methods to help our clients detox effectively and safely. Using medically-assisted treatment and other methods, our experienced staff of licensed professionals has provided our clients with the tools they need to detox from hydrocodone and start their addiction recovery journey on the right foot. At ReAlign Detox, we have helped hundreds of patients detox from a variety of substances, including hydrocodone. We understand the complications involved with detoxing from hydrocodone and know what steps to take to ensure that our patients receive the most comfortable and effective detox experience possible. If you or a loved one is struggling with a hydrocodone dependency, we urge you to get the help you need from a licensed detox facility. Don’t hesitate to contact us to see if ReAlign will be a good fit for you or your loved one on your journey to recovery.